HOME - Oxford Mobile Fleet Service Inc.
We are now offering Monroe snow and ice control equipment. We are able to handle extensive body, structural and all mechanical repairs on all makes of trailers. We are equipped and have the latest technology to accurately diagnose and repair your fleet. We are able to pick up equipment, bring to our shop for repairs and deliver back to you when it is completed. You won’t be disappointed—the quality of our service speaks for itself! at competitive rates, by qualified technicians. We strive to provide our customers with superior parts and service. We use only quality, North American-made parts. We ensure that calls and emails are promptly responded to 24 hours a day, 6 days a week. We have a committed team made up of licensed truck and coach mechanics, trailer mechanics, apprentices and office staff. We make it our goal to communicate the scope of work needed and approximate cost involved to the best of our ability. We are committed to growing our business so that we may better serve our customers and support our employees. We value our local community and give a portion of our profits to local charities and good causes. We care for our environment. We ensure that we minimize our impact on the environment. "Oxford Mobile has been a preferred service vendor for Challenger Motor Freight equipment in the Woodstock and surrounding area for several years. In this time, they have provided us with efficient response times and effective repair solutions for all types of equipment failures." "Oxford Mobile Fleet Service has been our Primary Fleet Maintenance Provider for the past 10 years. 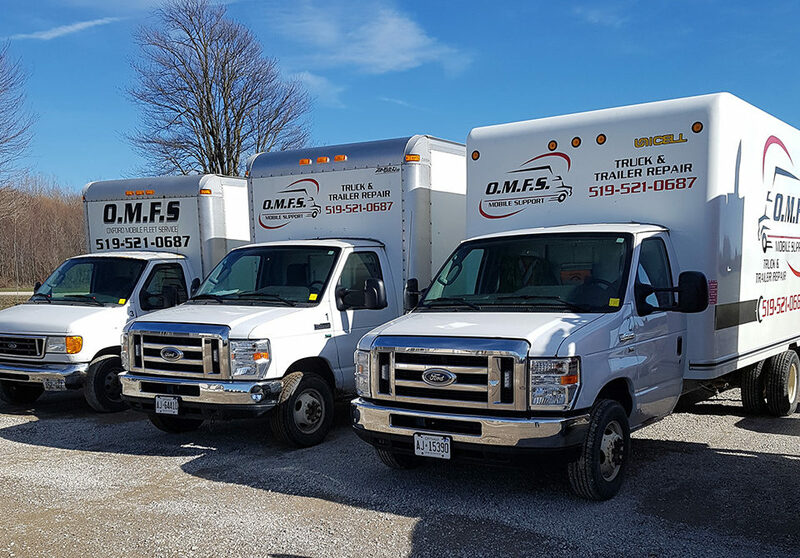 We highly recommend OMFS for not only your Road Side Emergencies, but also Routine Maintenance and Major Repairs to both your Trucks and Trailers. For Quality work at a reasonable Rate we always call OMFS First." "Oxford Mobile Fleet Services has been a strategic and trusted partner of our operation for the past 7 years. The dependability, reliability, honesty and work ethic of Josh and all of his staff has given us the confidence to focus on growing our core business all the while knowing they have our vehicle service needs covered. Beyond being a pivotal element of our company, we truly value the strong relationship and friendship that has been formed over the past 7 years." Oxford Mobile Fleet Service Inc., specializes in mobile truck and trailer repair, and on-site maintanance. We offer 24 emergency service Monday through Saturday. We specialize in fleet maintenance and repair,and take pride in quality repairs, Done right the first time! Service calls and shop appointments can be booked by phone or email. We currently have 3 service trucks available to assist you, and a full service shop to handle the bigger jobs. 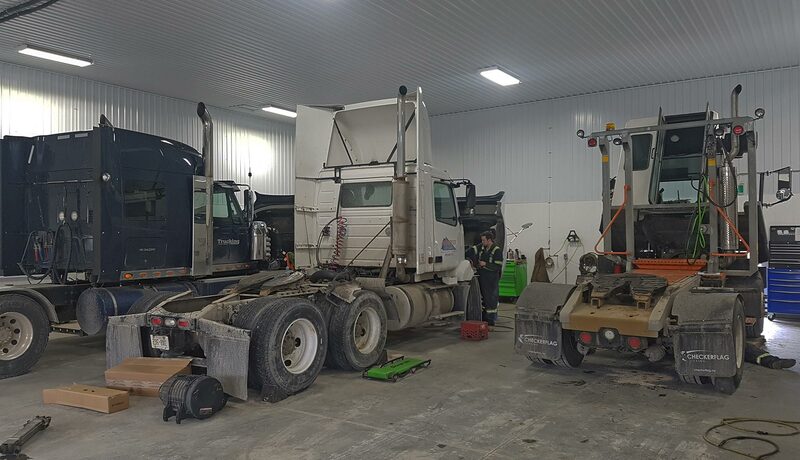 We offer a wide range of experience and services and our mechanics are licensed 310T Truck & Coach Technicians with lots of experience in troubleshooting, preventative maintenance and all mechanical repairs—in the shop, and on the road. Please consider the services offered by Oxford Mobile Fleet Service Inc. You won’t be disappointed—the quality of our service speaks for itself!